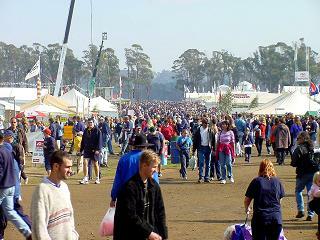 Agfest is the premier event for the agricultural industry. AgFest is the Tasmanian premier agricultural event showcasing everything for the farm as well as the home. Organised by the Rural Youth Organisation of Tasmania, this multi-million dollar exhibition focuses on equipment, demonstrations and processes. With several hundred exhibitors displaying their offerings, there is something to interest everyone.